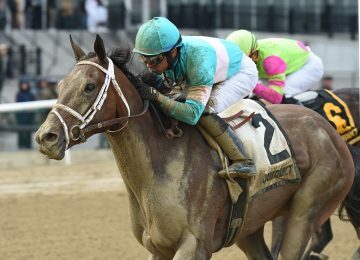 Just days before Creator won Saturday’s Belmont Stakes, his owners sold a minority stake to celebrity chef Bobby Flay. A few months before the May 21 Preakness Stakes, hedge fund manager Sol Kumin acquired a stake in Exaggerator, who won the second jewel of the Triple Crown. Behind the two deals is Bradley Weisbord, a 30-year-old adviser who helps owners buy and manage horses. 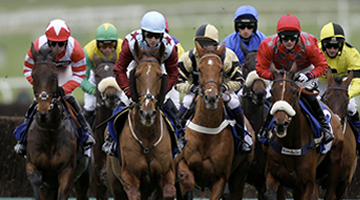 About 80% of his work is putting together private acquisitions of horses with proven track records. It’s a different approach than that of buyers who hunt for value by bidding on young, untested horses at public auction. There, the prices can be much lower—but the winner’s circle is a distant dream, at best. 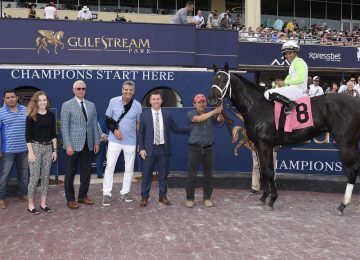 Weisbord’s game gives buyers with millions to burn a more direct route to victory, but the challenge is finding sellers willing to share the race-day glory and stud-deal prospects when they know they have a potential champ. “Most people don’t want to sell at that stage or the price is too high,” said Weisbord, who declined to disclose terms of either deal. Weisbord opened his own bloodstock agency in 2014, and is at work building up the American racing operation of Qatar’s Sheik Joaan Al Thani. The case of Flay’s buy-in is particularly unusual for its speed and for Flay himself, who over the past decade has become a prominent horse owner by focusing on high-quality fillies and broodmares. A board member of the New York Racing Association, he’s been an advocate for developing new race fans. Heading into Belmont Stakes day, he had invited about 20 people to watch his filly America in a race prior to the marquee event. But a few weeks ago, she was forced to retire, leaving Flay and friends without a horse to root for. “I wanted to make sure my guests had a very enjoyable experience. 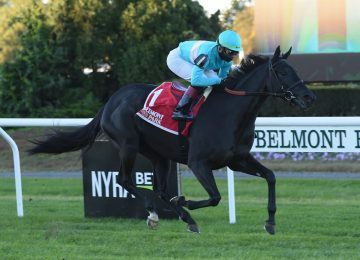 So I wanted to purchase a horse to run,” he said after Saturday’s race, adding to his comments Wednesday, when he said as a native New Yorker, the Belmont Stakes has long been a dream. He and Weisbord looked at several options, and aimed for Creator, who wasn’t the race favorite but was one of the few contenders that had won a Grade 1 race. The deal for Exaggerator had more time to come together. Folger Hill Asset Management’s Sol Kumin, formerly of Steven Cohen’s SAC Capital Advisors, wanted a runner in the Kentucky Derby, and he recognized that his best shot was not in the auction ring. He worked with Weisbord to buy a 20% stake of Exaggerator in February from owner Matt Bryan, who had purchased the horse for $110,000, with the help of trainer Keith Desormeaux. Bryan, whose Dallas-area equipment company distributes engines and generators, said the offer made perfect sense to him and his partner Ron Ortowski, whose Gainesville, Texas, company services oilfield equipment. “We knew what the fixed costs of running were,” said Bryan. The investment allowed Kumin in on the stallion deal with, coincidentally, WinStar, made after Exaggerator won the Santa Anita Derby in April.